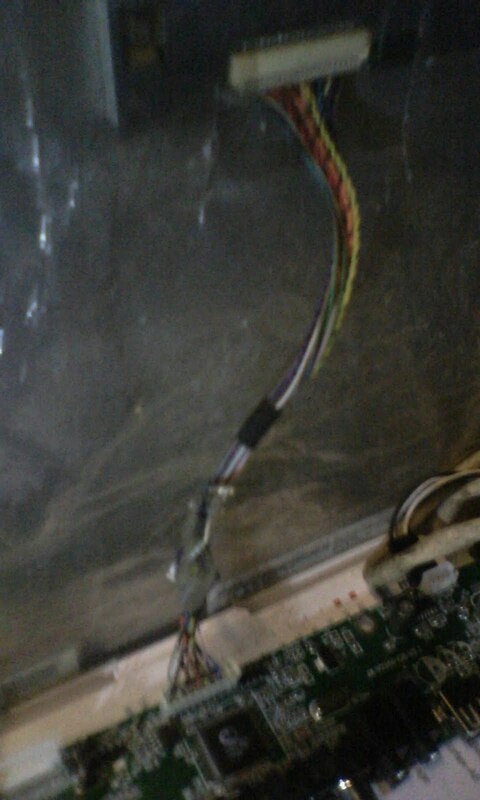 Recently I bought an Universal LCD Engine for my broken Dell monitor. The reason I bought it because it was cheap, the total price with shipping around 150.000 IDR from local online store. 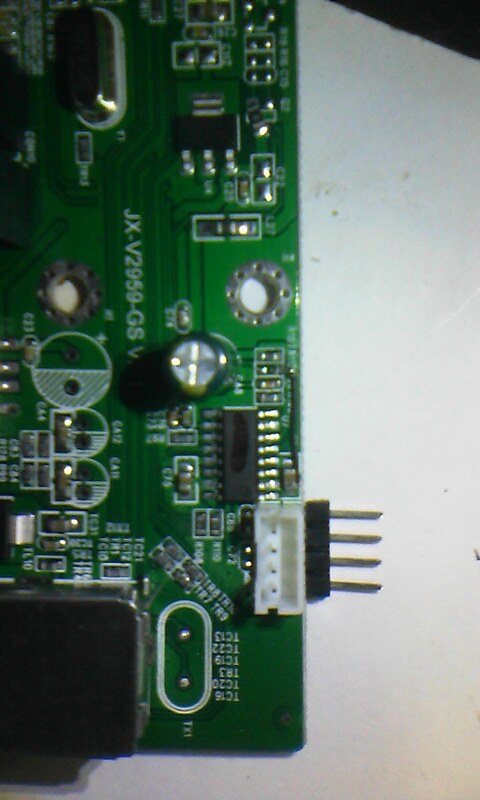 The LCD engine type is JX-29-GS shown on the sticker, on the board it says JX-2959-GS V2.1. 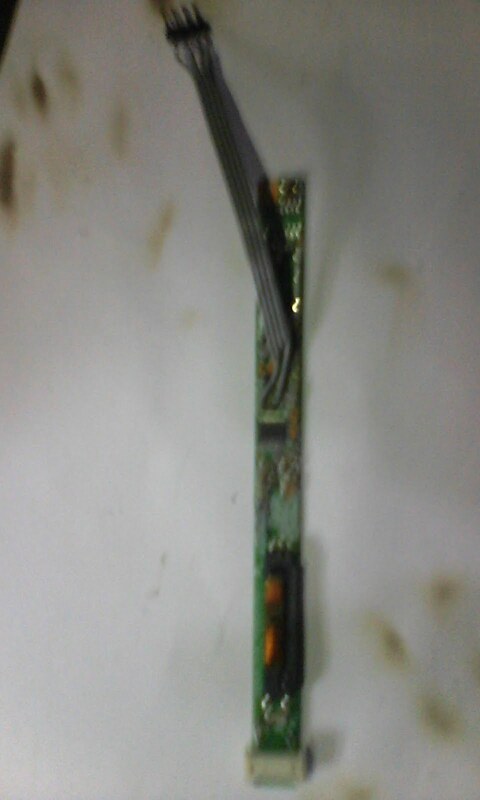 The first thing is to attach the LVDS cable connection. 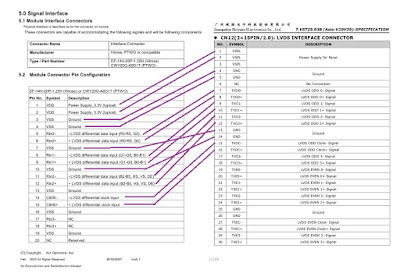 The LCD display type is MX150NX07. For reference you can follow description from https://sites.google.com/site/lcd4hobby/home . 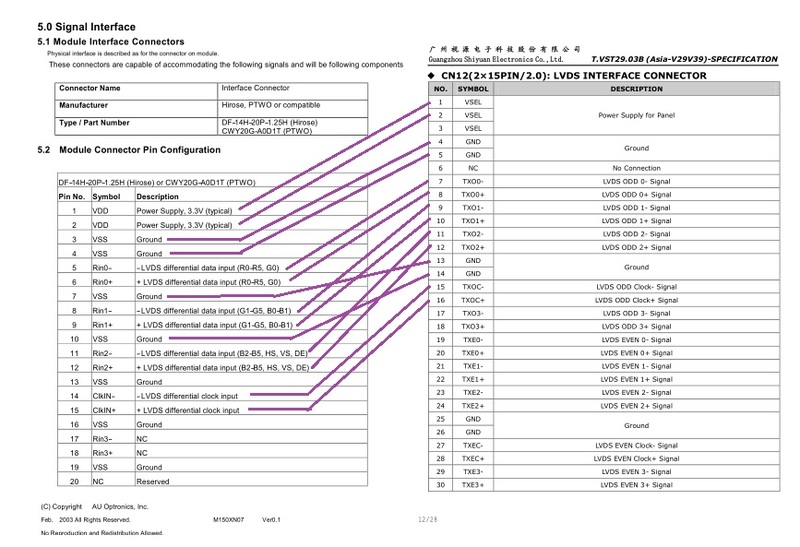 Re-arrange the LVDS cable according to LCD based on the pinout shown in datasheets. The left one is LVDS Pinout from my lcd display and the right one is LVDS pinout from the LCD engine. 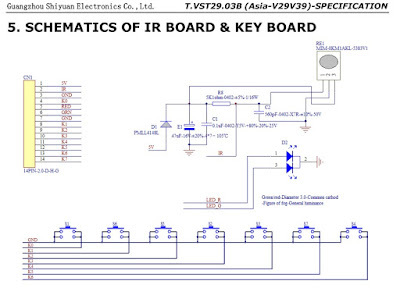 Next one i need control to my LCD engine, so i follow the schematics for IR receiver on a breadboard. I don't assemble the key yet. The hardest one is to get the backlight come up again. There's universal lcd backlight inverter available online, but i think the price is ridiculous, some almost the same as the price of the LCD engine itself even more. So i go to aftermarket bought used laptop inverter, for 100.000 IDR i got four, no guarantee they still functionally. 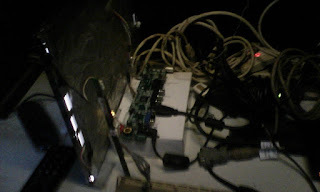 So the hardware is complete, connect them all, put a batteries in the remote and plug the remote and voila... the monitor is up again and it has a TV Tuner and HDMI input. But I'm not happy yet, because the picture is cropping, only some part is shown. Then again the firmware need to be replaced with the appropriate lcd display. Copy the LAMV29.bin to flashdisk, rename it to MSTFLASH.bin, plug to the LCD engine and plug the power. The led will blink for a moment and then power up by itself. Hurray.. the resolution were perfectly fit, the TV work, HDMI work, VGA OK.. But wait... Where the sound goes?.. it silent as a tomb. Try changing various firmware got no luck. 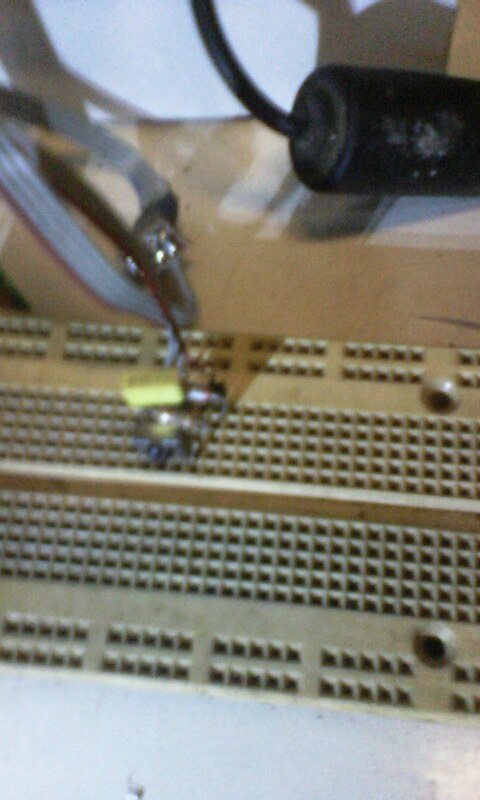 i made simple modification to cut the resistor from SD (shutdown) and jump it to ground. 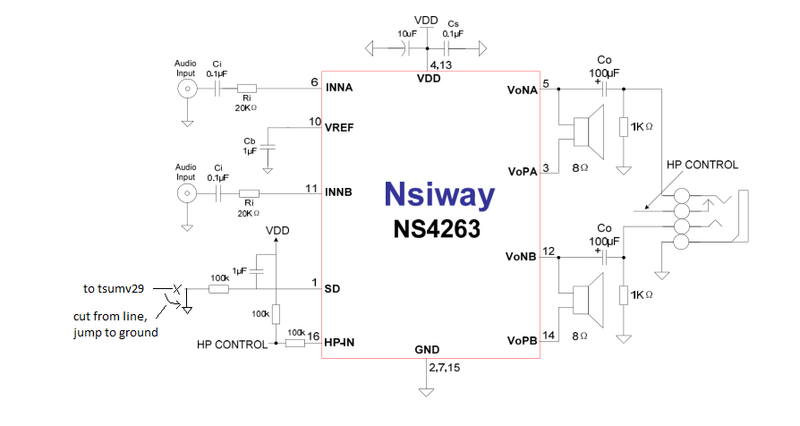 Here's my backup firmware link, remember to modify the sound chip if you use this on jx-v2959-gs v2.1 lcd engine. Dicoba beberapa firmware dengan spek resolusi, bit data dan tegangan yang cocok, biasanya salah satu bisa dapet meski beda tipe lcd. wah saya belum coba tuh, ntar deh klo sempet saya oprek lagi. Ntar mas ta coba lagi, posisi monitor saya sudah jadi tv di kamar, klo bongkar lagi nanti istri saya ngomel2 pengen nonton si boy ..he he ..
Kalo board mati tak bisa hidup. Setelah gagal update fiemware gimana tu mas?? Dari info chipset, by default bootloader nya akan cek kehadiran usb flash disk dan mencari file bernama MSTFLASH.bin, pastika flash disk di format dengan fat32/fat16 jangan ntfs. Saya pun berkali2 salah firmware, selalu matikan board, colok usb dan masukan power. dari 2 board yang saya dapet dua2 nya bulak balik flash firmware lancar jaya. jika dilihat dari pin nya tidak pin to pin compatible, sehingga menurut saya tidak bisa gan. 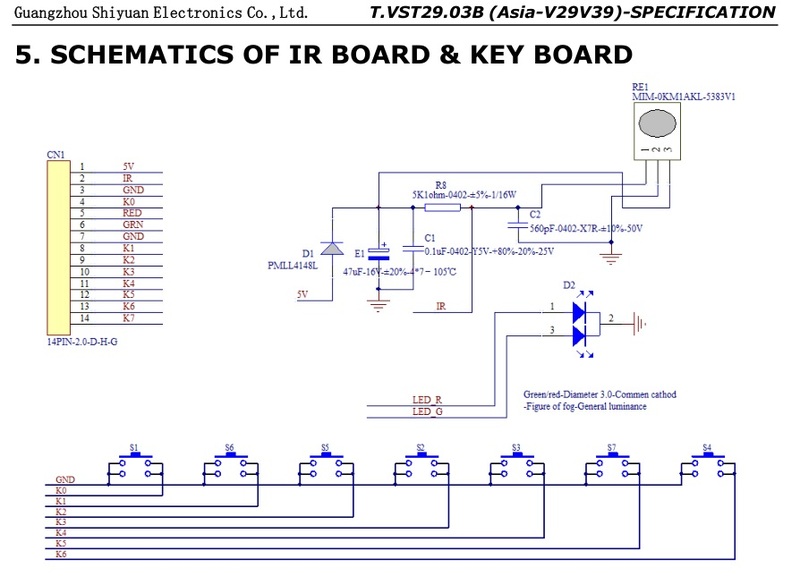 Gan saya punya controller yang jx-2959 tapi mau dipasang ke lcd hb140wx1-100 tapi pin yang controler dikasihnya 30 pin sedangkan yang lcd 40 pin, apa saya bisa ganti kabelnya aja atau perlu update firmwarenya? pertama ini bukan firmware punya gue, sumber nya jelas di sebutkan diatas, jika firmware salah seperti yang lainnya bisa di ganti yang lain sampai ketemu yang paling cocok. Mohon bersabar dan memaklumi untuk produk yang murah perlu perjuangan yang lebih. Om Cuma ada source TV. VGA. HDMI dan USB tidak ada. Ada solusi kah ?